Mindfulness is based on an Eastern meditation tradition but is not dependent on any belief or ideology.It is about being aware of what is happening in the present on a moment-by-moment basis.It is contrasted with states of mind in which attention is focussed elsewhere e.g. pre-occupation with memories, fantasies, plans or worries, and behaving automatically without awareness of your actions. It includes a sense of approaching all experiences with openness and kindly curiosity, rather than avoiding difficult experiences or judging them or us. 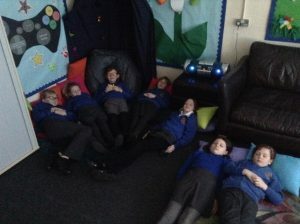 We offer a mindfulness and relaxation club at lunch time for KS2. 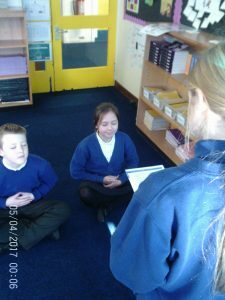 The Mindful Mind Club supports children with mindfulness techniques and strategies to help children manage their everyday stresses. A Safe Place meditation guided us to our own safe place, a place that we can hold in our mind in times of need. We were asked to imagine a place of calm and peace. We visualised, sound and colour, shapes and smell. 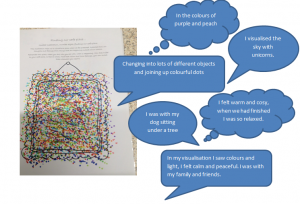 We focused on how our visualisations made us feel and tried to name the feelings that were instilled. The Anna Freud National Centre for Children and Families has developed and delivered pioneering mental health care for over 60 years. Their aim is to transform current mental health provision in the UK by improving the quality, accessibility and effectiveness of treatment. With this is mind we have been selected to be a part of a national project, working with over 370 schools to evaluate pioneering ways of supporting the mental wellbeing of pupils.